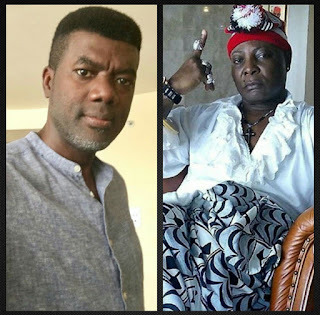 Reno Omokri, former media aide to former President, Goodluck Jonathan, took to his Facebook page yesterday evening to hit back at Charlyboy for attacking Nigerian pastors unnecessarily over the present terrible situation of the country. What a shame, Nigeria don’t even have a national air carrier yet there are over 100 private jets owned by con men/pastors called men of God and thieves called Leaders/politicians. May the revolution consume the bastards. 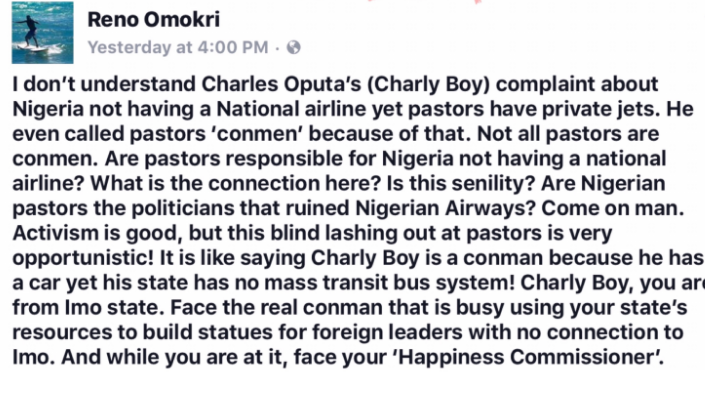 I don’t understand Charles Oputa’s (Charly Boy) complaint about Nigeria not having a National airline yet pastors have private jets. He even called pastors ‘conmen’ because of that. Not all pastors are conmen. 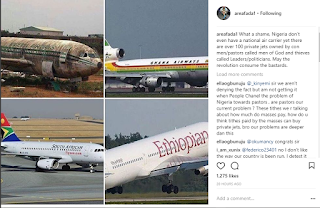 Are pastors responsible for Nigeria not having a national airline? What is the connection here? Is this senility? 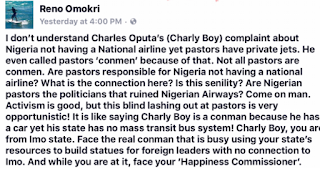 Are Nigerian pastors the politicians that ruined Nigerian Airways? Come on man. Activism is good, but this blind lashing out at pastors is very opportunistic! 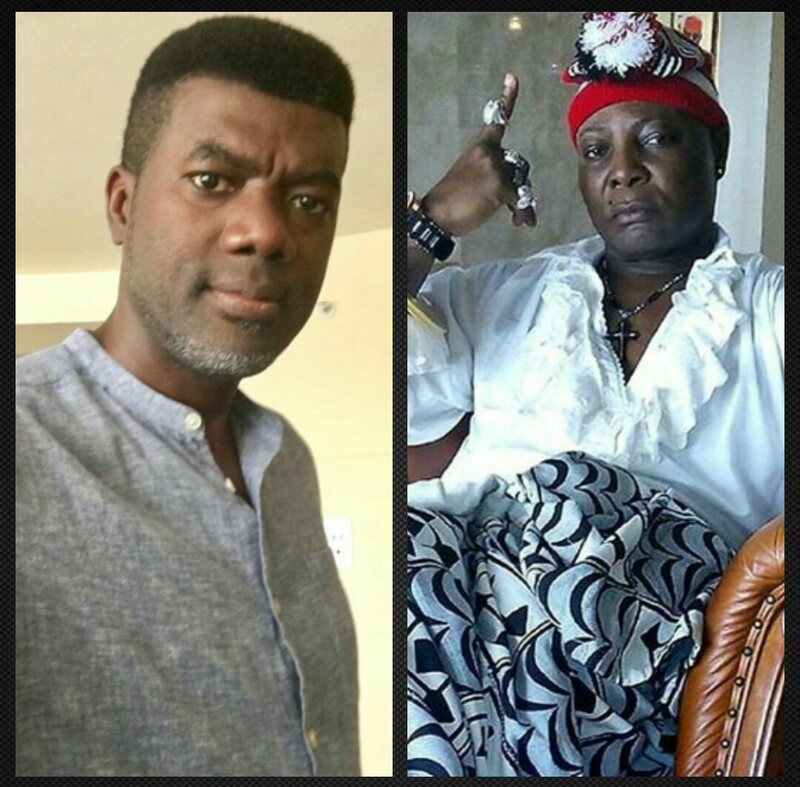 It is like saying Charly Boy is a conman because he has a car yet his state has no mass transit bus system! Charly Boy, you are from Imo state. Face the real conman that is busy using your state’s resources to build statues for foreign leaders with no connection to Imo. And while you are at it, face your ‘Happiness Commissioner’.